Under the direction of the Nursing Coordinator, is responsible for the facilitation and reporting of primary care screening coordination per DBHDS guidelines; provides direct nursing services to clients and works to ensure the proper ordering, storage, delivery, and tracking of medication provided to Community Services Board clients; participates in planning and implementing the delivery of nursing care for clients of the Board and in providing education and consultation to Board clients, families, and staff regarding medication and health issues. The incumbent works in cooperation with other Board nursing staff. The R.N. must exercise discretion and independent judgment in providing services. The R.N. carries out his/her duties at the direction of the Nursing Coordinator. 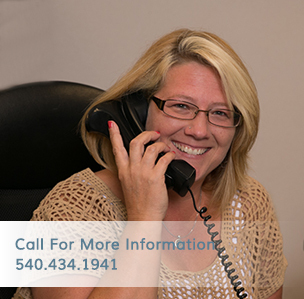 She/he receives direct, regularly scheduled clinical and administrative supervision. This position is classified exempt under the provisions of the Fair Labor Standards Act. Manages and ensures operations and compliance activities under the CSB’s alternative delivery site pharmacy license. Is responsible for other duties as assigned, consistent with established Board policy. Thorough knowledge of the principles and practices of nursing; adherence to the code of ethics of the nursing profession; basic knowledge about mental illness and the use of psychotropic medication in its treatment; the ability to assess both general health problems and medication side effects; ability to organize and attend to detail in the delivery of medication; good interpersonal skills demonstrated good judgment, and the ability to work with considerable autonomy. The ability to work comfortably with a wide diversity of both professional staff and clients is required. Graduation from an accredited college or nursing school with a degree or diploma in nursing, current licensure as an R.N. in the Commonwealth of Virginia plus five years of nursing experience which includes experience working with mental health clients. Staff member is responsible for submitting proof of license renewal to the Human Resources office.